Slot machine games are the most popular attractions at online casinos. No complicated skills, tactics or strategy are required – you simply pick a slot, make a deposit, and spin the reels. Of course, for serious slots aficionados things get a lot more complicated. Slots enthusiasts will often consider technical elements such as RTP (Return to Player), paylines, wagering requirements, variance, and bankroll considerations. To many players, it’s a balancing act picking the right slot machine game from the many thousands that now populate the i-Gaming arena. True to form, slots are spin and win attractions. The moment you depress the spin button, the RNG (random number generator) automatically generates a result. Contrary to popular opinion, the spinning reels are not conjuring up results as they spin – results are predetermined at inception. The criteria for picking one slot over another will vary from player to player. Certain players enjoy classic slots with 3 spinning reels, rudimentary symbols and features, and no sophisticated audio-visual enhancements. 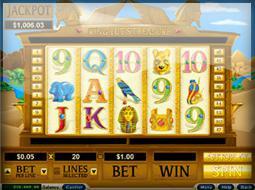 Most players enjoy video slots with progressive jackpots, multimedia-rich content, and fully immersive gameplay. Slots players are a lively group of gaming fans who enjoy the thrill of every spin. Luckily, most slots can be enjoyed in a demo mode for free, or a real money mode. With 2018 upon us, it’s time to crack open the top 5 slots of the new year, and see why fans are so excited to play these games! Twin Spin Deluxe is a crackling slot game from world-class game provider, NetEnt. Revered for its spectacular audio-visuals, 3D entertainment value, and stylish gameplay, NetEnt has hit the ground running with this explosive slot game. Released in the latter half of 2017, this game is already making its rounds as one of the finest attractions in 2018. As the sequel to the universally popular Twin Spin slot, this 2.0 version is taking the world by storm. Twin Spin Deluxe has a 96.61% RTP, features 6 spinning reels, 5 rows and a cluster payout system. The game’s chief features include the Twin Reel Feature and the Cluster Pays. Players get to enjoy 10 bet levels with a minimum coin value of £0.01 up to £1 per spin. Autoplay functionality, max bet features, and a smorgasbord of incredible symbols peppers the reels. These include bells, bars, cherries, 7s, Ace, King, Queen, Jack, and diamonds, and of course the Twin Reel Feature which is the star of the show. Jurassic World slot game is an iconic entertainment masterpiece from legendary game maker, Microgaming. This online slot needs no introduction to the masses – it’s got more teeth in the T Rex, and will rip you, grip you and spin you in ways you never thought possible. It is the collaborative result of Universal Studios and Amblin Entertainment, and it roars with ferocity. Players with a penchant for the Jurassic era will love this smoking hot title. Based upon the 2014 epic Hollywood blockbuster, Jurassic world™ online slot brings plenty of bite to your screen. Jurassic World is located off the Costa Rican coast, and it provides the backdrop for a compelling and pulse-pounding slot game. The Indominus Rex is the latest ferocious dinosaur to make a splash, but T-Rex is close at hand to keep them in check. Some of the spectacular features in the slot game include Cryo Wilds, Rolling Reels, the Creation Lab and the Multiplier Trail. This game is a blistering attraction for action and adventure fans, and it certainly doesn’t disappoint with 5 spinning reels, 3 rows and 3 unique locations that players can choose from. These include the Raptor Den, the Creation Lab, and the Gyrosphere Valley. When you’re ready for an adventure, this is where you want to be! Egyptian-themed games are making a spectacular comeback, and Rise of the Pharaohs Slot is front and centre. The lobby is fashioned off and Egyptian tomb, complete with Egyptian mummies, the Eye of Ra, Gods, and more. This entertaining slot game features 5 spinning reels, 15 fixed paylines, and 3 rows of pulsating entertainment. The bigger your bets, the greater your probability of winning. Some of the most exciting features in the slot game include sticky wilds, free spins, wild symbols, and a bonus game with multipliers. This popular game is part of a wide selection of online slots at the world’s premier online casino, 888casino. Play N Go is one of the premier software developers on the market. 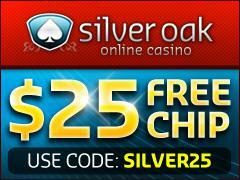 It is considered by many players to be an innovative provider of online casino games, notably slots. This popular retro-slot game is themed off an 1800s circus where the circus master, clowns, strongmen, and lion tamers get ready to entertain you in grand style. A series of superbly animated characters are positioned off to the sides of the screen, to direct the action. Golden Ticket slot is a bustling game full of popular circus attractions. The symbols crash down the reels like an avalanche feature. Bets begin from as little as £0.20 and rise up to £40 per spin. Autoplay functionality is also available for up to 50 spins in the game. If you’re in the mood for circus-themed fun, Golden Ticket is the game for you! NetEnt races into pole position once again with the terrifying zombie apocalypse slot game. Players can win up to 100,000 coins in this ghoulish, eerie and terrifying slot game. 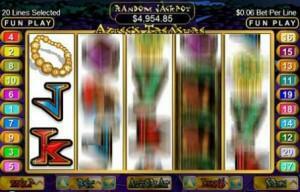 The game features random wilds, free spins, and stacked wilds that expand across the entire screen. Zombies is not for the faint of heart. There are images of bloodied brains, baseball bats with nails and choppers dripping with blood. Eyeballs ripped out of their sockets and a mix of 10, Ace, Jack, and Queen, await you in this mesmerizing slot game. Be advised, and King symbols. The audio-visuals in the game are terrifying, but if you swallow hard you’ll summon the courage to spin those reels and win for real. This slot game rivals A Nightmare on Elm Street in terms of how terrifying it is. There are gas masks, chainsaws, zombie viruses, and glory wilds that make up winning combinations on the screen. You can win up to x 10 in free spins, and all it takes to get started is a coin value of £0.01. The maximum coin value is £1, and there are up to 10 levels of play. That’s a maximum bet of £200 per spin. The pay table indicates all the most important features of the game, including the biohazard scatter symbols. When you land 3 of these symbols on reels 2-3-4, you will activate 5 free spins. The free spins also award multipliers, from x1 through x10. But it’s the random wilds feature that everyone’s waiting for. This one features two zombie heads with yellow eyes and broken teeth rushing towards you… This is one scary online slot game, and a deserving recipient at #1 on the list!